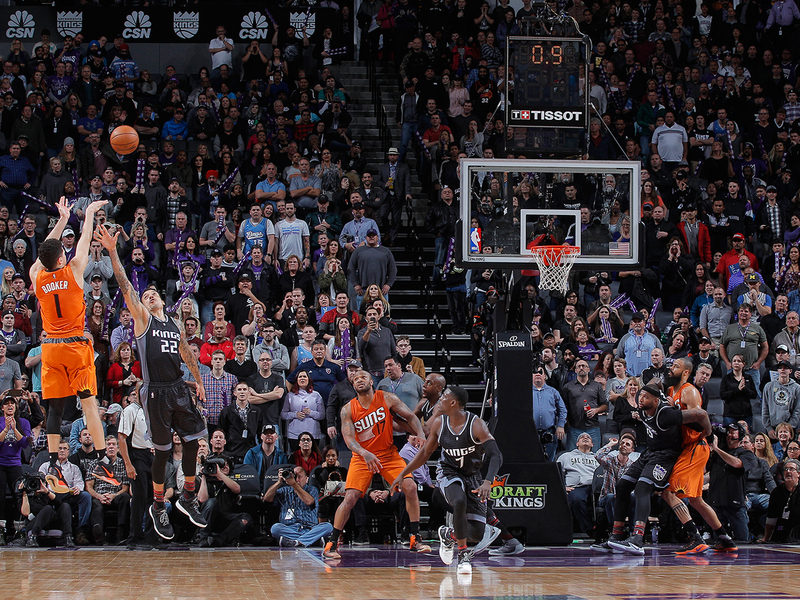 10 Tips For Bringing Your Kids to a Downtown Phoenix Sports Game - Downtown Phoenix Inc.
With the Phoenix Suns regular season starting Oct. 17, you might be considering your first family sports excursion. 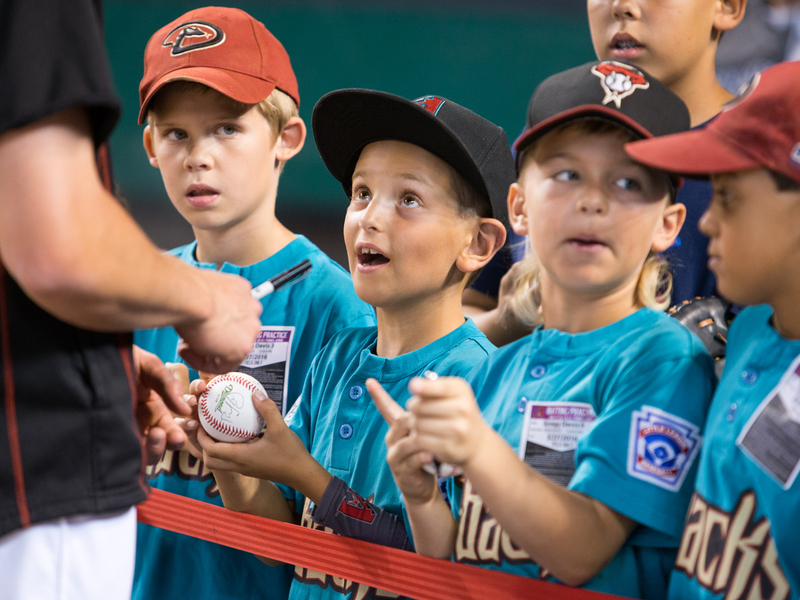 Whether you’re a D-backs, Suns, Mercury or Rattlers fan, navigating the parking and crowds, especially with kids in-tow, can be a bit daunting. Fortunately, downtown is very walkable, has great public transit (sometimes free with a game ticket), and lots of parking. With a few of these helpful hints, going to a game (even with little ones) can be the experience of a lifetime. Think about booking early to get an aisle seat. That way you have easy access to the bathroom, and can take walks around the concourse when needed. There are so many amazing family-friendly restaurants downtown, all within a block or two of Chase Field and Talking Stick Resort Arena. Nearby options include: The Arrogant Butcher, The Strand Urban Italian, Squid Ink, La Piazza PHX, The Counter, Hard Rock Cafe, The Park and even Mancuso’s (for something a little more fancy). They all have kids’ menus/options (and pretty gourmet ones at that), you just have to ask. Chase Field allows food (as long as it’s wrapped or in a baggy), sealed juice boxes, small sealed water bottles, and even soft coolers. Bring fun snacks your kids will enjoy and dole them out at key intervals, like at the end of an inning. Sadly for basketball fans, Talking Stick Resort Arena doesn’t allow outside food or beverages (besides bottles and formula). But that doesn’t mean you can’t make food a fun experience. There are lots of yummy options you might not normally feed your kids (baby’s first soft pretzel? ), so they’ll see it as a special treat. Besides snacks, you might want to throw in some books, crayons or something to keep those little hands busy. 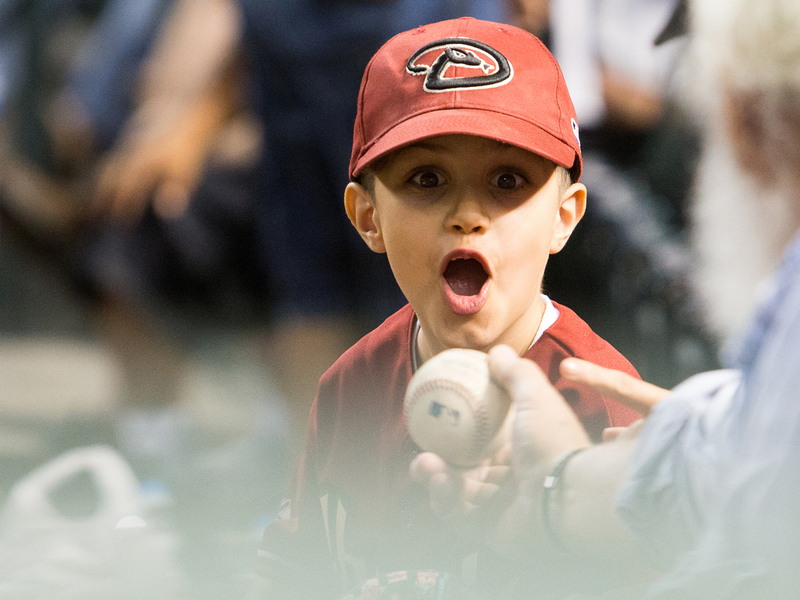 Chase Field has an awesome playground, but it doesn’t hurt to have a backup plan. Get some foam fingers, pom poms or make a cool sign. Getting little ones pumped about teams and individual players makes the game much more exciting and engaging. At a Rattlers game for example, basic addition can be modeled: touchdown (6) + drop kick field goal (4) = 10 points. You can even get into more complex stuff as time goes on like percentages, averages and probability. Explaining the rules, scoring and what’s going on can really help your child learn how math is applied in the real world. Toddlers 24 months or younger are free at both Chase Field and Talking Stick Resort Arena — as long as they sit on the lap of an accompanying adult. Everyone else must have a ticket, but there are discounts for military (50 percent off), the Student Pass program for high school and college students; and the D-backs offer a few promotional days where kids under 15 years are free. So be sure to check the schedule for deals and promos. You’re going to need free hands. Luckily, strollers are welcome (as long as they’re not blocking aisles) and can be checked at Guest Relations offices. Talking Stick Resort Arena is super loud (like being at a rock concert), so you might consider noise-canceling headphones for the little ones. Chase Field is a much larger venue, so the acoustics are not nearly as intense — especially on days when the roof is open. Valley Metro Rail is the easiest, cheapest way to get to and from a game. Even though there are plenty of affordable parking lots and garages (about $10 on average), the southbound train literally drops you off in front of Talking Stick Resort Arena and Chase Field. And the northbound is just a block away. Give yourself a few minutes before the rush. It can make riding the train or getting out of the parking lot so much easier.